Naproxen is a nonsteroidal anti-inflammatory drug (NSAID) used to treat pain such as headache, muscle aches, dental pain, menstrual pain, or tendonitis. Naproxen is also used to reduce symptoms caused by arthritis. Naproxen works by blocking the body’s natural production of substances that cause inflammation. This drug is not meant to be an ongoing treatment for pain. This drug should be taken according to dosage recommendations or prescribed amount by a physician with your current medication list and medical history. This drug may cause a severe allergic reaction, especially in patients allergic to aspirin, other NSAIDs, or inactive ingredients commonly found in medications. Patients should talk with their doctor before taking this drug if on Aliskiren, ACE inhibitors, angiotensin II receptor blockers, Cidofovir, corticosteroids, Lithium, or water pills. Patients at higher risk of bleeding may experience bleeding while taking this drug. Minor side effects include upset stomach, nausea, heartburn, headache, drowsiness, and dizziness. These effects shouldn’t persist or worsen. Many people using this drug do not experience side effects. Pay attention to new symptoms to determine if it is caused from Naproxen. Serious side effects should be addressed immediately. These include easy bleeding/bruising, difficulty swallowing, hearing or vision changes, mood changes, swelling, weight gain, signs of kidney damage, stiff neck, fatigue. It’s important to follow manufacturer, pharmacy, and doctor’s instructions when using this and other medical products. 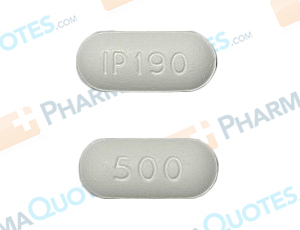 General Naproxen Warning: The above information is for informational purposes only and is not meant to be a substitute for professional medical advice, diagnosis or treatment. Please seek professional medical advice before starting, changing or terminating any medical treatment. Pharmaquotes is not offering medical advice, pharmaceutical recommendations or endorsing any specific prescription drug, pharmacy or other information on the site. Pharmaquotes provides no warranty or guarantee for any of the discount data, medication, or other information.